My love for simple gold jewelry knows no bounds. Instead it seems to constantly grow. 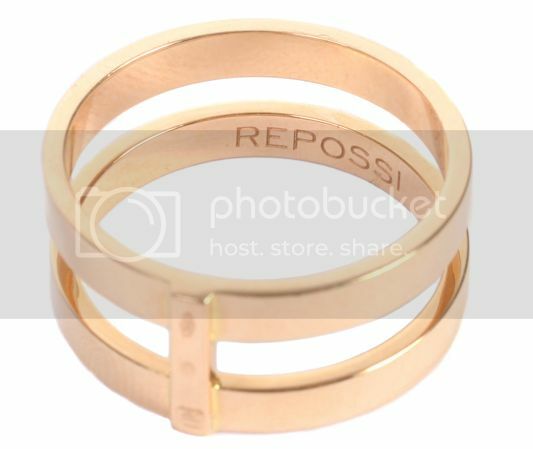 Lately I have been enamored with the cage-style jewelry I've been seeing from Gaia Repossi and Dominic Jones. I have a great affinity for unadorned gold jewelry, but sometimes it can feel a bit plain. These pieces are the perfect antidote to that problem. As statement pieces, they have a sort of lightness with their weight and while the cage motif is certainly and old one, the clean minimalist lines make them feel very modern. 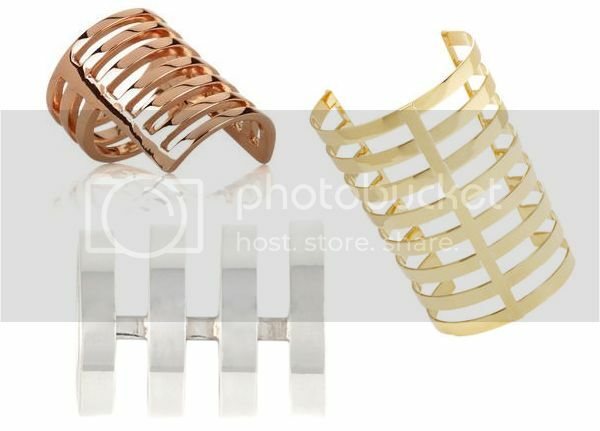 Top left ring by Dominic Jones all others by Repossi available at Barneys.com and Colette.fr. These are lovely. So simple/so striking. Ooh, wonderful :) Love the simplicity! Hi, I desire to subscribe for this web site to obtain latest fashion jewelry collection. Keep on posting! You blog is eye-catching. I get pleasure from it. Thanks for sharing this beautiful piece of fashion jewelry.